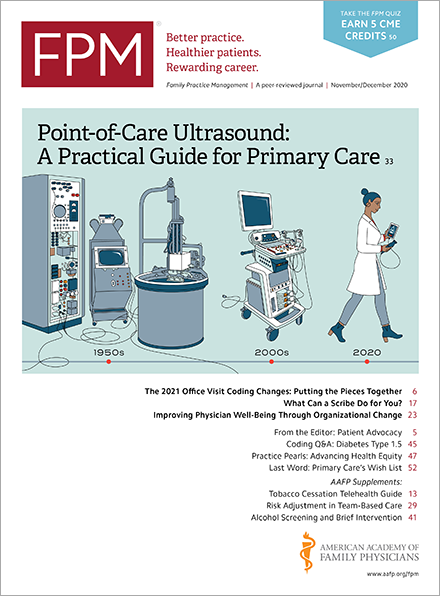 The Centers for Medicare & Medicaid Services (CMS) has spent the last three years experimenting with how it and Medicare administrative contractors (MACs) review physicians’ clinical documentation to prevent improper payments and use that experience to help physicians and practices avoid future errors. Apparently, the experiment was a success. CMS says it is expanding its medical review strategy, called “Targeted Probe and Educate” (TPE), to all MACs later this year. This actually appears to offer some advantages to physicians. CMS, recognizing that medical record review is a burden to physicians, began in 2014 a program that combined a review of a sample of submitted claims with education to help reduce mistakes in the claims submission process. CMS called this medical review strategy Probe and Educate. The agency then began phasing in TPE, a more targeted program where the MACs focused on specific providers or suppliers within the service instead of looking at all providers and suppliers billing a service. TPE involves up to three rounds of review. Each round, called a probe, reviews 20-40 claims per provider, per item or service. After each round, providers are offered individualized education based on the results of their reviews. TPE began as a pilot in one MAC jurisdiction in June 2016 and expanded to three additional MAC jurisdictions in July 2017. CMS has decided to expand it to all MAC jurisdictions later in 2017. Rather than reviewing claims from all providers for a specific service, the MACs will focus only on claims from providers or suppliers who have the highest claim error rates or who use billing practices that vary significantly from their peers. The number of claims reviewed for an individual provider is likely to be smaller than under the previous process. Physicians who successfully improve after a given round are not subject to additional rounds and appear to earn a 12-month reprieve from TPE. Additional actions, including 100 percent prepay review, extrapolation, and referral to a Recovery Auditor, occur only after a provider or supplier fails three rounds of TPE with high error rates. Additional information on TPE(www.cms.gov), including a flow chart(www.cms.gov), is available on the CMS web site.